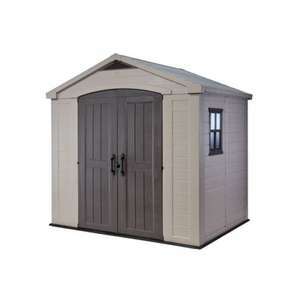 Homebase currently have 20% off Keter products including this shed, making it cheapest on market. Bought one 3 yrs back. Already cracked and side panel broke— supposed to be very strong it’s not- very flimsy actually. Not worth the value. Bought one 3 yrs back. Already cracked and side panel broke— supposed to b …Bought one 3 yrs back. Already cracked and side panel broke— supposed to be very strong it’s not- very flimsy actually. Not worth the value. I got one 5 years ago, and would agree with you. Various bits are broken and getting spare parts out of Keter when the door was caught by the wind and the hinge broke was really really difficult. Wish I'd just gone for a wooden shed instead as at least you can repair it yourself when bits fall off. I have one for over 5 years and it's great. Survived a house move but I lost a door hinge. Their was a spares website for buying replacement parts. Would never buy wooden sheds again! Surprised people have trouble getting spares i have always found them most helpful and very often send the parts without charge. I would always buy Keter sheds. My oldest has to be way over 10yrs has been moved and reasembled and still good. Surprised people have trouble getting spares i have always found them most …Surprised people have trouble getting spares i have always found them most helpful and very often send the parts without charge. 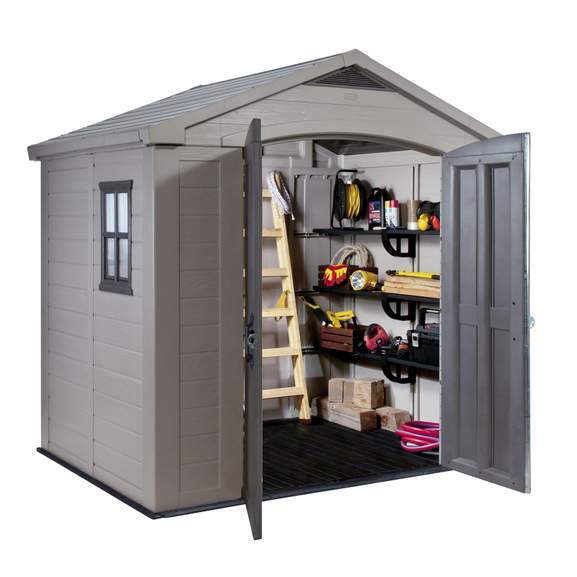 I would always buy Keter sheds. My oldest has to be way over 10yrs has been moved and reasembled and still good. They sent the parts without charge just it took them 3 months to sort it out. If it had have been a wooden shed I could have fixed it the same day. Deal posting newbie! This is LinsayGilchrist first deal post. Help out by leaving a posting tip or just to show your appreciation for their contribution.